We're huge fans of meals that are easy on the clock because we know firsthand that sometimes the question, "What's for dinner?" is the question of the day that arises after all of the other busy weekday things that need to get done first. 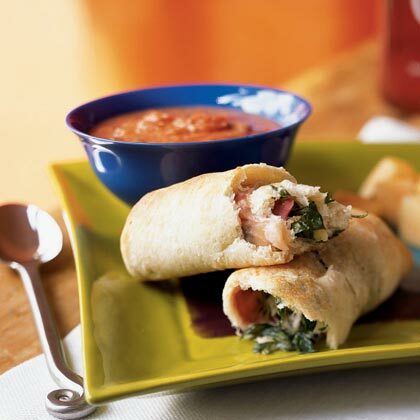 In order to make that decision easier on everyone, we'd like to introduce a quick meal idea: stromboli, a take on an italian sandwich that involves combining all of the ingredients into a roll of dough before baking. These sandwiches are crispy on the outside, and deliciously stuffed with all kinds of yummy ingredients on the inside such as ham, swiss cheese, and veggies. Getting hungry yet? Well one of our favorite takes on this is our Prosciutto and Gruyere Strombolis that require just 20 minutes of your busy afternoon before they're on the table. Check out this video to see for yourself just how easy this recipe is to whip up. 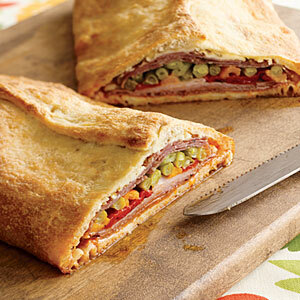 For some more creative and fun stromboli recipes, check out a few more below that are great kid-friendly options for lunch or dinner. For fans of homemade bread, this recipe below is more time intensive and requires a bread machine. 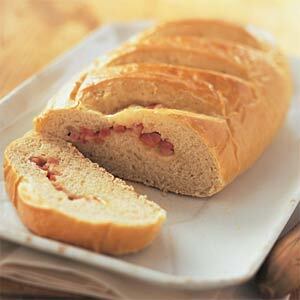 The ham and swiss is actually baked into the loaf of bread for a great make-ahead lunch option. If you don't have the tools for this recipe, no problem, simply use canned dough instead such as in the recipes above and bake the roll in the oven. Looking for more cooking and baking inspiration? Head on over to our Facebook and Twitter where every day we showcase our newest recipes and featured favorites. See you there!